Chickpea is the second most important and ancient pulse crop with its use in human diet for approximately 7500 years as one of the Neolithic founder crops. 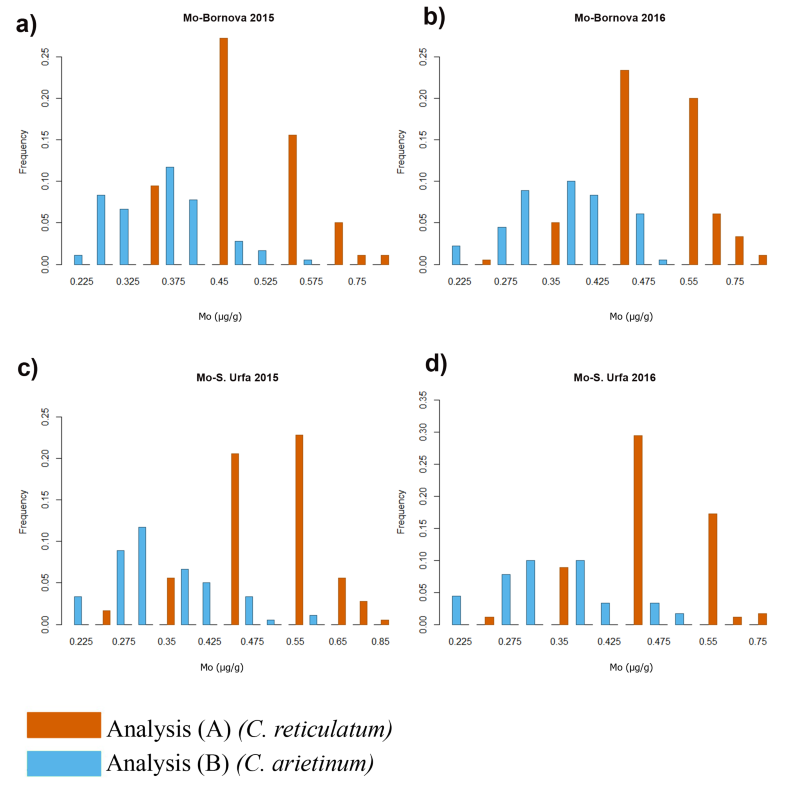 Previous studies on chickpea have predominantly focused on agronomic traits, with only limited research being dedicated to developing micronutrient-rich crops over the last half century. 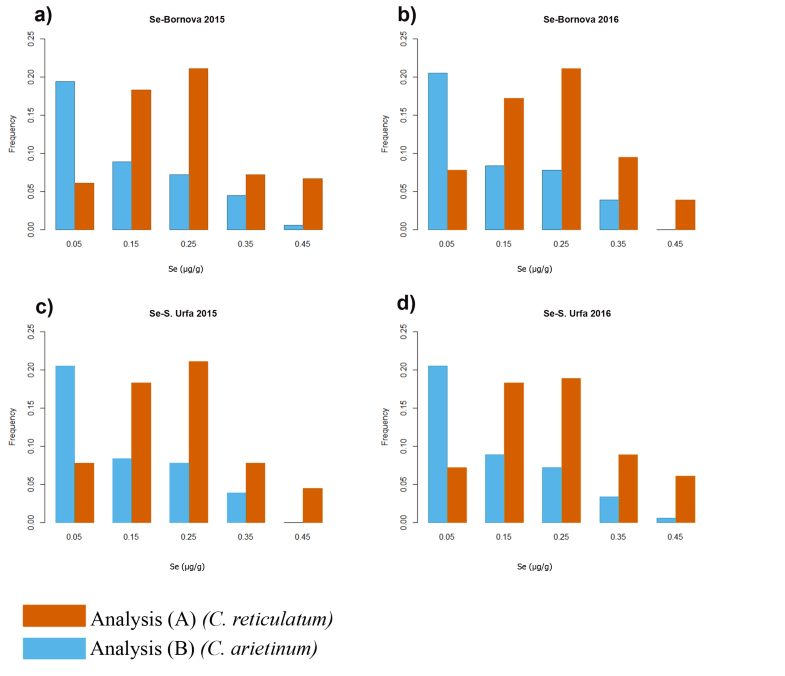 The objectives of this study were to identify genetic variation and population structure of Cicer reticulatum (C. reticulatum) and Cicer arietinum (C. arietinum) species and reveal marker-trait associations of seed molybdenum (Mo) and selenium (Se) concentrations in seeds by genome-wide association studies (GWAS). 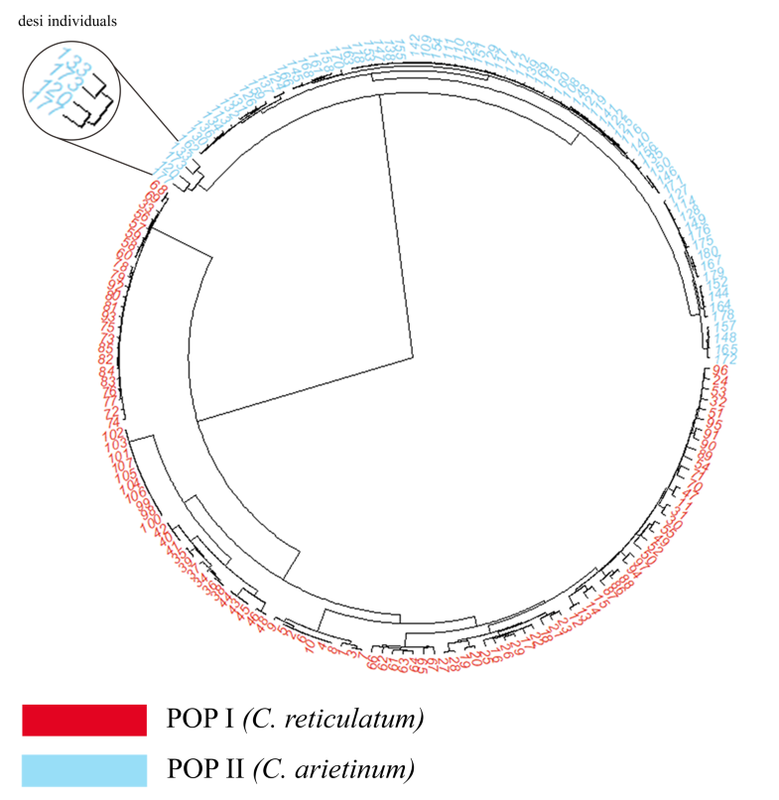 In this study, a population of 180 individuals including 107 wild (C. reticulatum) and 73 cultivated (C. arietinum) Cicer species was used in two different locations for 2 years, and 121,840 high-quality single nucleotide polymorphism (SNP) were identified across eight chromosomes through genotyping by sequencing (GBS) analysis. 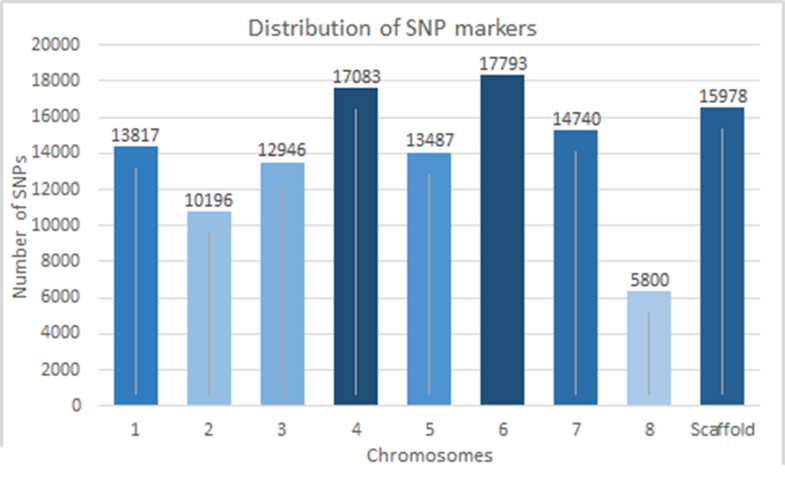 GWAS was performed for 180 individuals and alternatively two subpopulations separately, and 16 SNP markers were found significantly associated with seed Mo and Se concentrations, consistently among the four environments. 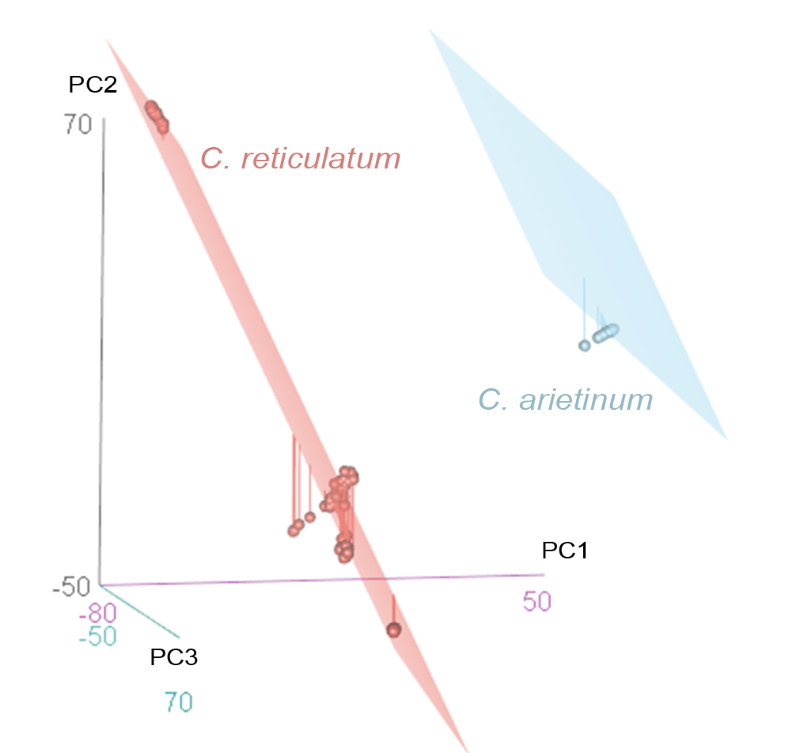 The results demonstrated the high potential of GWAS mapping in revealing markers associated with Mo and Se micronutrients for wild (C. reticulatum) and cultivated (C. arietinum) species. The online version of this article ( https://doi.org/10.1007/s11032-019-0947-x) contains supplementary material, which is available to authorized users. We would like to thank the Aegean Agricultural Research Institute for providing the seed materials. 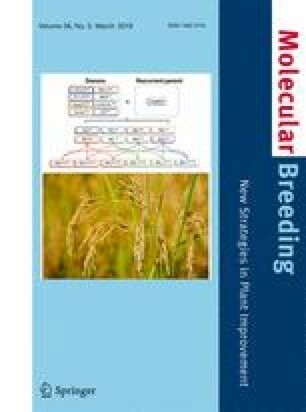 We are also grateful to Douglas R. Cook from the Department of Plant Pathology, University of California Davis for his support. This study was funded by The Scientific and Technological Research Council of Turkey (TUBITAK) with the project number of 214O278.